New York's latest, high-profile education building has opened on the campus of Columbia University Medical College in Washington Heights. Designed by Diller Scofidio + Renfro with Gensler, the 14-story Roy and Diana Vagelos Education Center houses classroom, simulation and training facilities for the college. Close-up of the "Study Cascade" at the southeast corner. Southeast corner from Haven Avenue. Looking up at the east facade from Haven Avenue. The building's iconic feature is the "Study Cascade," a south facing 14-story space, connected by a grand stair, with a variety of indoor spaces for individual and group interaction, outdoor rooms and terraces that foster collaborative learning amongst students and faculty. With the "Study Cascade" DS+R has sought to subvert the normative medical building typology by rethinking its circulation strategy, which the studio has focused on in a wide range of projects over the past few decades. The "Study Cascade" at the south facade. Southwest corner of the "Study Cascade." 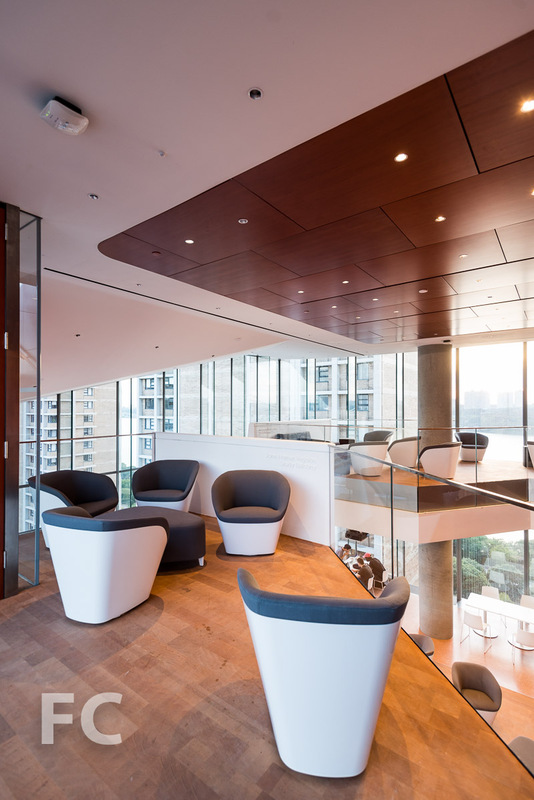 GFRC paneling and Douglas fir wood clad the solid forms of the "Study Cascade," while the transparency of floor-to-ceiling glass with glass fin supports allows for open views of Manhattan and the Hudson River. Close-up of the "Study Cascade" at the south facade. Looking southeast from an outdoor terrace on the 13th floor. View south from an outdoor terrace. Grand stair at the lobby. Architects: Diller Scofidio + Renfro with Gensler; Structural Engineer: Leslie E. Robertson Associates (LERA); Program: Education; Location: Washington Heights, New York, NY; Completion: 2016.